Most of us have some place we keep all our bird hunting stuff. Mine is in the barn. When we bought this place, a huge pole barn made for the beef cattle he raised on this place came with it. 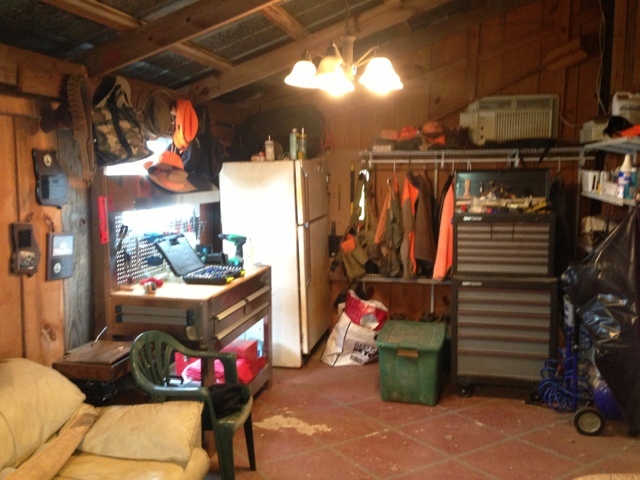 I had a pad poured and, while they were re-modeling the inside of the house, I built a barn room with the idea of storing all my hunting and trialing gear. Not fancy, I have power and heat, through a fireplace and a propane wall heater, and I have AC with a wall mounted unit I salvaged from and old rental house. It suits my needs. I have all my electronic training gear plugged in and hunting clothing hung up. The old refrigerator holds drinks and frozen birds for training. A couple of recycled couches and lots of hanging NSTRA trophies complete the "outdoor" look (as my wife would say). One big consideration I discovered is mice. They really like to make hunting gear into a nest for more little mice. One time, I pulled on a foul weather top I retained from the Navy and a mouse ran up my arm and out the sleeve! My wife still laughs at the time I "squealed like a girl"...not that I did, but I let her have her fun. To combat them, I put traps out and even, very carefully, place rat poison in places I'm positive dogs will not reach. (This worries me. Be careful about it!) About every 3 years, I need to re-treat the room to keep the little critters in check. 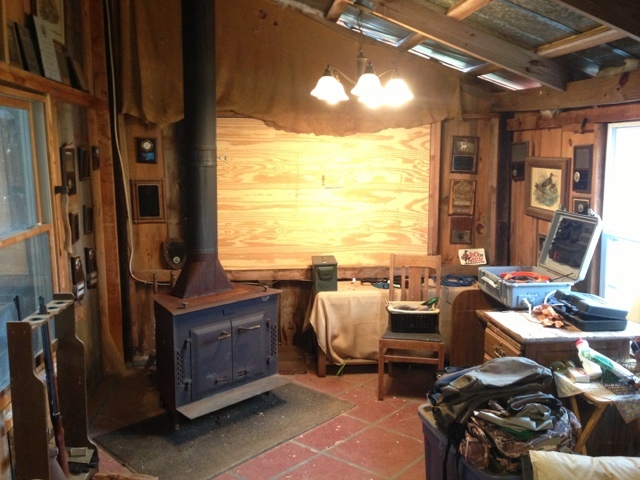 Where is your "barn room"?